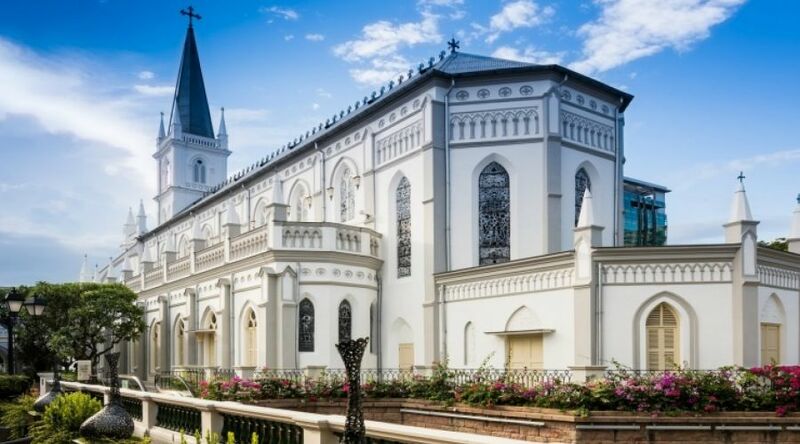 Chijmes Hall, formerly the Convent of the Holy Infant Jesus Chapel, is an immaculately restored early Gothic styled 19th Century chapel. 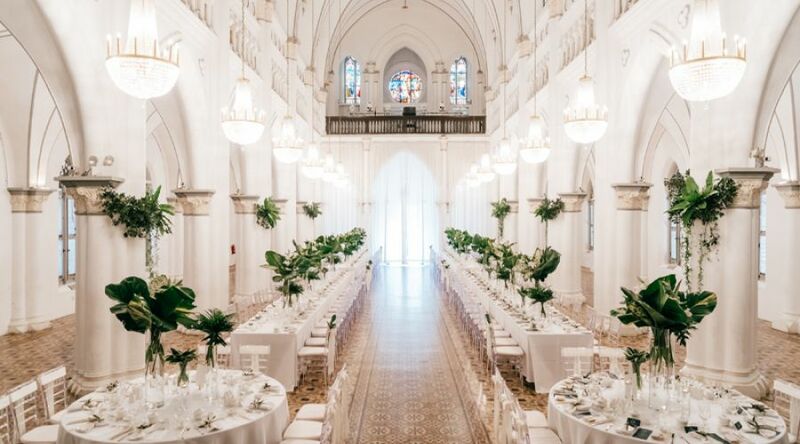 The original chapel was built by Father Charles Benedict Nain, and consecrated in 1855 as the Town Convent. The chapel's stained-glass windows imported from Bruges, Belgium in 1904 were designed by Jules Dobbelaere. A five-storey spire flanked by flying buttresses marked the entrance to the chapel. The 648 capitals on the columns of the chapel and its corridors each bear a unique impression of tropical flora and birds. Located at the CHIJMES complex in Singapore, it is the second oldest building in the country. © 2019 by The World Federation of Exchanges. All rights reserved.